During the year 1951, an auditorium was supposed to be constructed at Chongqing under leadership of great Marshal He Long in order to accommodate the overseas as well as domestic guests. 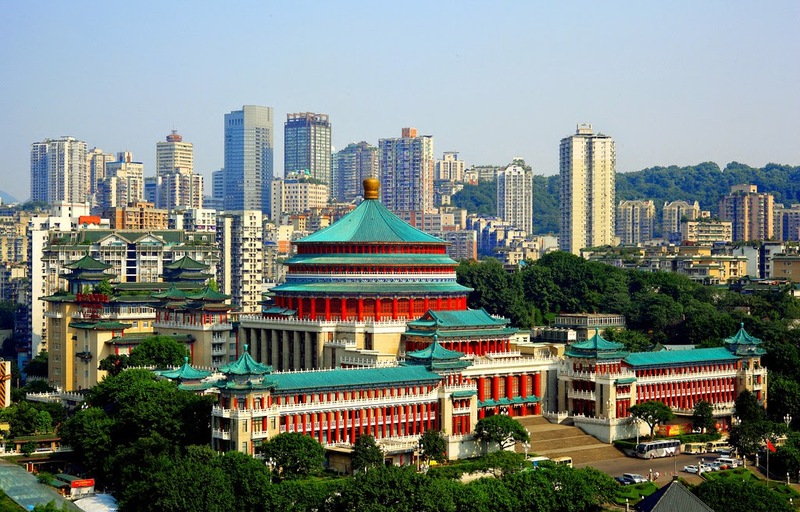 The construction was completed in the year 1954 and was given the name as People’s Assembly Hall of Chongqing in 1955. After about fifty years, this hall is still in same condition with a prominent status at the Xuetian Wan in Renmin Road of Chongqing. This hall complex is in fact a group of linked or attached structures that possess a hall along with 3 attached buildings in the eastern, northern and southern sides respectively. All together, these will cover a total area of sixty six thousand sq. m., that is, approximately sixteen and half acres. In this, 18.5 thousand sq. m. is covered by hall. The height of the hall is sixty six meters. it possesses a large capacity of over four thousand seats. 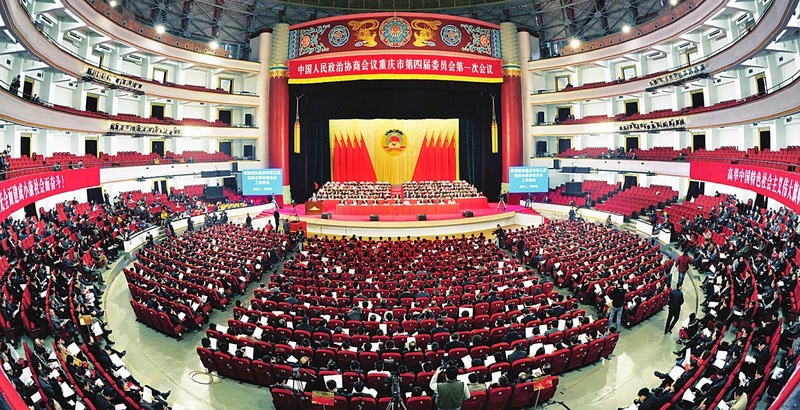 The great hall of people is also known as Sino Soviet building. It is very big. 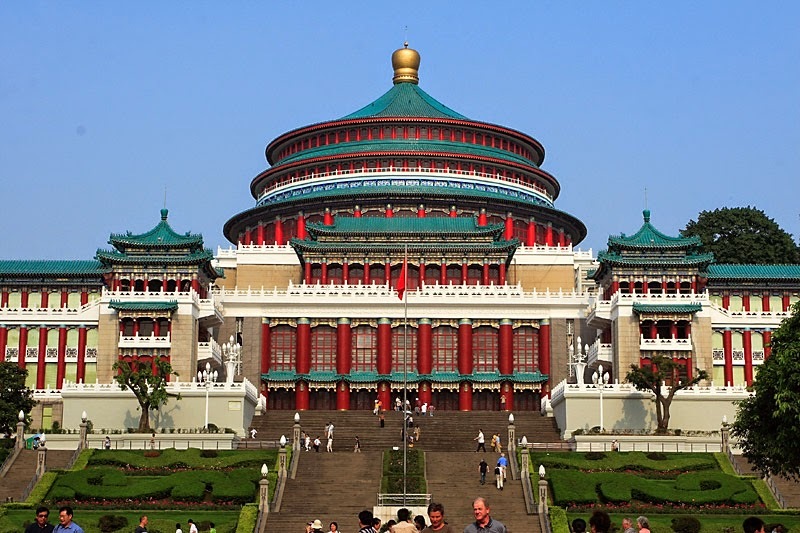 The dome of this hall resembles the Temple of Heaven located in Beijing. 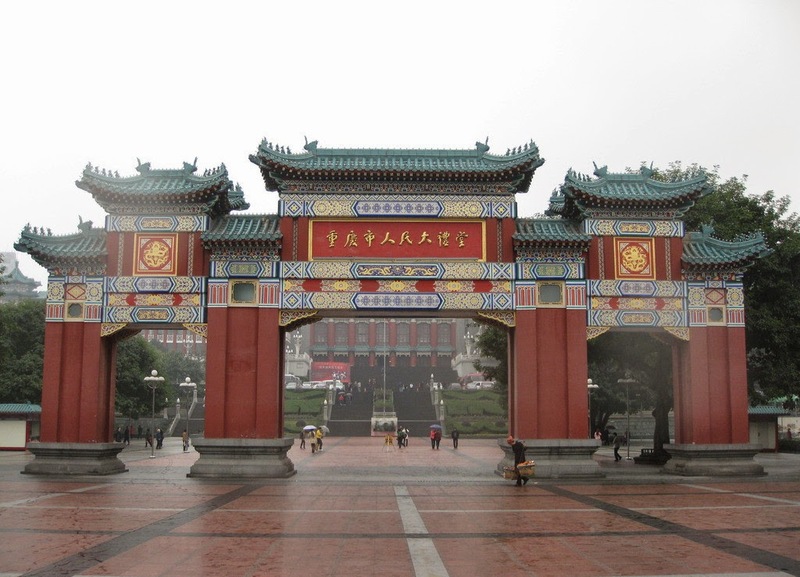 The Chongqing People’s Hall is regarded as a symbol in Chongqing that reveals its culture and history. The big square located in front of the hall is well decorated with several lights and fountains. Certain architects form abroad considered the great hall for people as a very good building of China which is built during the period from 1949 to late eighties. The hall possesses a dome that is red tiered. The height of dome is fifty five meters. The square in front was constructed in 1997. Its ground is fully paved with stone tiles that are very smooth. Here, there is a big stage for official functions as well as performances. Sometimes, even stunning light shows are put on at great hall of people. The lightings will be fully controlled by computers. The water fountains in main building and square will be colorfully light. The hall is having an architectural style used in Qing and Ming dynasties. Greenish tile dome is well supported by the crimson columns. Hall’s dome, brim and parapet railing gleam in sun. Pillars of building and various structural members of People’s Hall are ornately sculpted. The whole assemblage is in clustered round beautiful lush trees which complements the visual experience of building. Chongqing People's Hall or Assembly Hall of People does impress the travelers a lot whether it is daytime or night time. To include this attractive spot is a good decision that one must take. The entrance fee is just ten Yuan. The opening hours start from 8.10 am to 5.50 pm. The time suggested for a visit to Chongqing People's Hall is a minimum of thirty minutes. Bus services are available to this Assembly Hall of People. One can get off at the Assembly Hall Station from Chongqing. Visit People’s Hall of Chongqing at the earliest! It is really worth. It will help you to learn different architectural styles.